Planting Dates: Plant seed in the spring and every 2 weeks thereafter to have a continuous succession of plants. Harvest Time: Any time the feathery foliage is present. 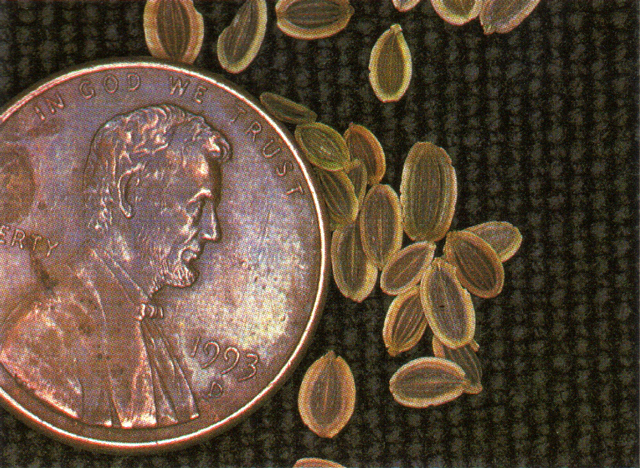 The seeds are harvested after they mature and turn brown. 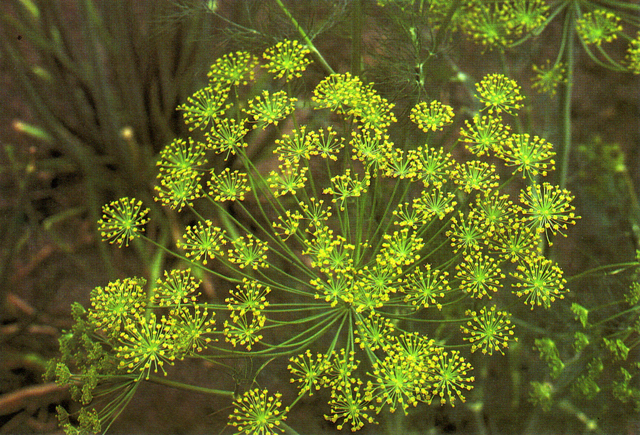 Growth Habits: Upright growth, blue-green feathery foliage, umbrella-shaped yellow flower heads that produce small oval seed. Stems have hollow stalks. Culture: Easy to grow in healthy soil. Needs moderate water and fertilizer. Troubles and Solutions: Strong wind can damage plants unless they are somehow supported. Caterpillars of the swallowtail butterfly can attack. The solution is to share instead of kill the caterpillars. Harvest and Storage: Cut and harvest the leaves during the summer, dry in the shade, and store in a dry place or use fresh. Notes: Best flavor is in the green, immature seedheads.